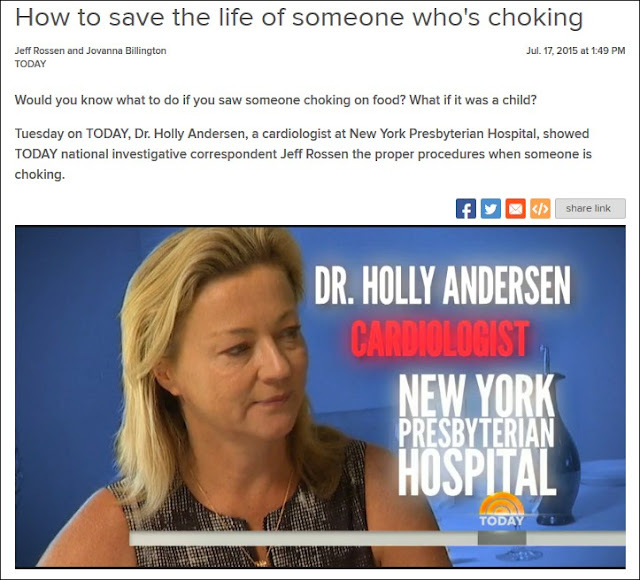 Long story short, Dr. Holly Andersen's claim about back blows is contradicted by the recommendations of the American Red Cross and the American Heart Association. For years, along with most of the world's first aid organizations, the ARC and AHA have recommended back blows as an effective treatment for responding to a choking emergency. 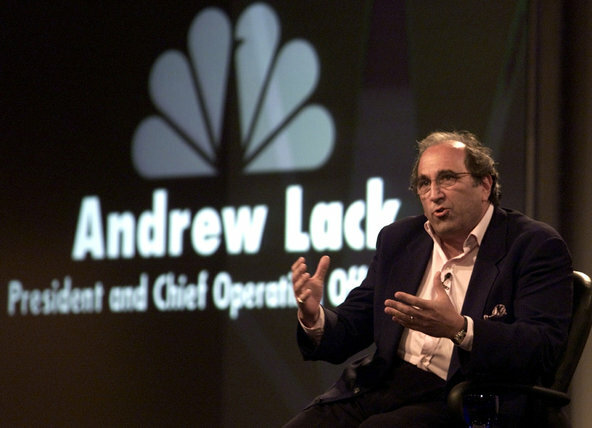 As for her claim that rescuers should perform a Heimlich maneuver using one arm, I've been researching my father's career for over a decade and I've never heard of that. I don't know where she came up with those recommendations, but since she provided medical information on national TV that was wrong and could conceivably harm kids and adults, I assumed Dr. Andersen and NBC would want to correct the errors. 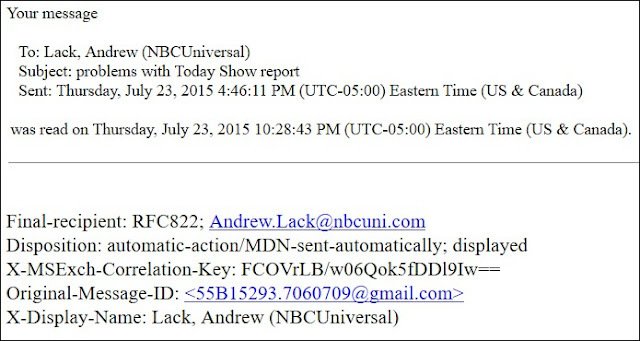 So I shared the above information with New York Presbyterian Hospital's media department, and asked them to ask Dr. Andersen if she thought NBC should correct the errors. Dr. Anderson is unavailable to comment. I then sent a couple of courteous e-mails to Dr. Anderson and to Stephen J. Corwin MD, the hospital's CEO, asking if they wanted to comment. I received multiple confirmations of receipt from both, but no other communications, so presumably their version of the Hippocratic Oath is, "First, admit no mistakes." 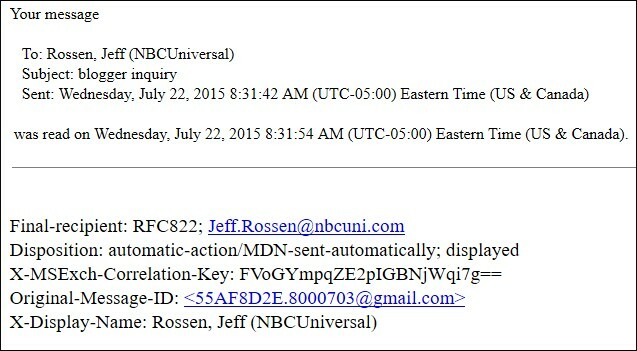 As for NBC, I sent self-described National Investigative Correspondent Jeff Rossen multiple courteous, well-documented e-mails explaining that his report included false and questionable medical recommendations. Although each time I received prompt confirmations of receipt -- here's the most recent -- I received no further communications from him. 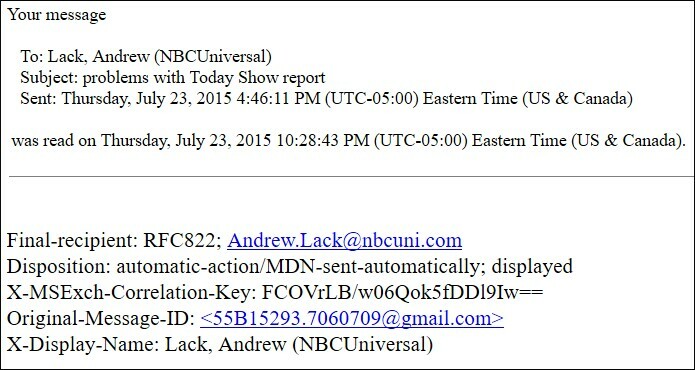 Since Rossen was apparently hiding under his desk, I sent a courteous, well-documented e-mail to NBC News Division head Andrew Lack, asking him to jump in. (If Dr. Andersen's) going to appear on national TV as an expert, it's her responsibility to know what she's talking about and it's apparent she failed to adequately prepare. So why give her a pass, meanwhile leaving your audience with incorrect information? ...Based on my experience, if good journalists make an error, they welcome publishing corrections for at least two reasons. One, they want to get it right because they have pride in the accuracy of their reporting. Two, they care about maintaining their audience's trust. 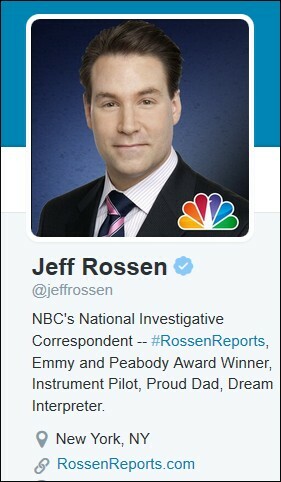 Based on Mr. Rossen's silence, apparently none of that matters to him, hence this outreach. I received this confirmation of receipt but no further communication. Rossen and Billington apparently weren't even paying attention to their own story. If they had, shouldn't they have noticed this intro clip in the piece? It shows an officer responding to a choking three-year-old and performing -- yep --a series of back blows, thereby, according to Rossen, "saving the boy's life."